Close coupled toilets are the most popular design for modern bathrooms, thanks to their wide variety of styles. 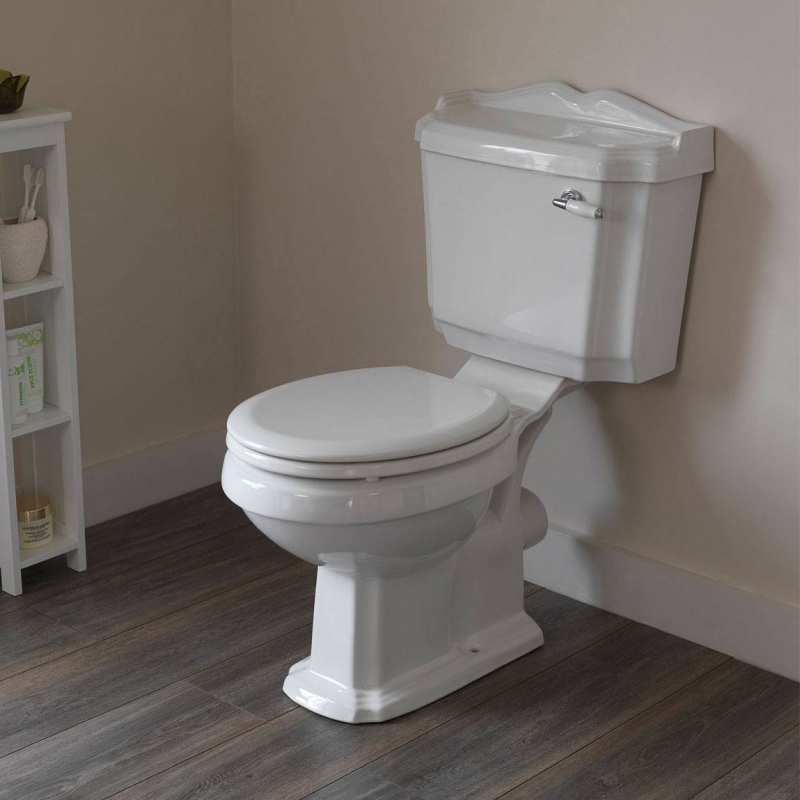 This guide will give you an overview of the types of close coupled toilet available at VictoriaPlum.com, and the things you need to consider when choosing one. What is a close coupled toilet? This is the style of toilet that most of us would picture when we think of a bathroom. The name simply describes the design, in that the cistern is placed directly behind the toilet bowl, rather than high up above as with more old-fashioned, traditional toilets (see high and low level toilets for this type of design). This design allows for many different looks from the traditional toilet to ultra-contemporary styles. Close coupled toilets are a great choice for a contemporary style bathroom, whether it’s super sleek and minimalist, or just a modern family bathroom. 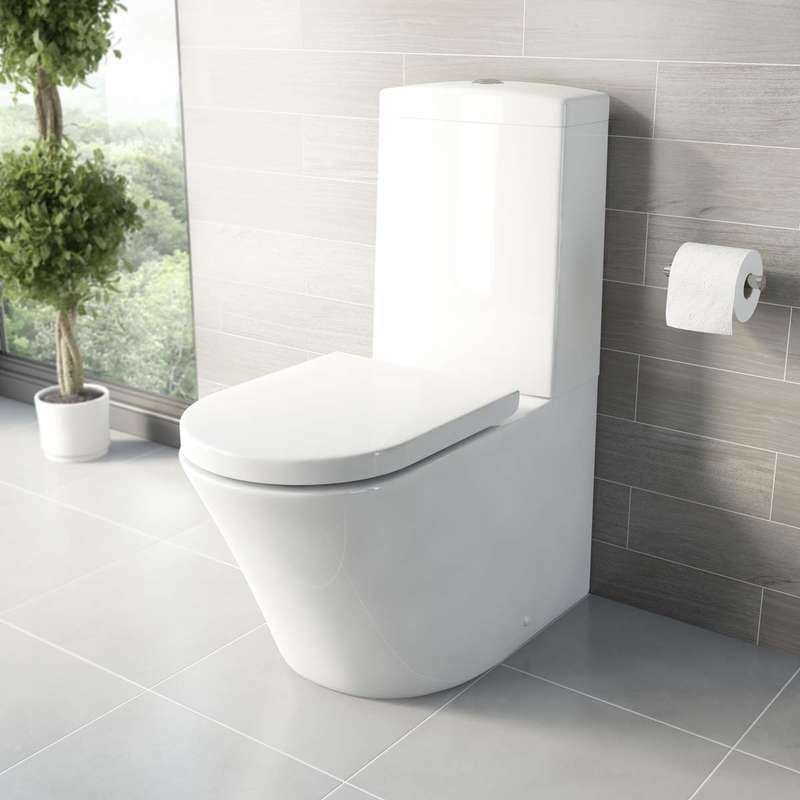 The Oakley close coupled toilet (pictured above) is a great choice for a family bathroom, with its simple and elegant design and push button dual flush, which can reduce the amount of water you use. Whilst we have classed this as "contemporary", it could be argued that the Oakley is more of a "modern toilet" - representing a style period which spanned the 1920s - 50s. For a really sleek and contemporary look, the Arte close coupled toilet (pictured above) would make an ideal choice. It has clean lines and bold shapes creating a minimalist, modern style. This particular design is also known as a fully shrouded toilet, meaning the waste pipe and water inlet are "fully shrouded" within the ceramic, so the toilet sits flush against the wall. This makes it easier to clean, with no awkward nooks or dust traps. We also have a great selection of close coupled toilets in a more traditional style, perfect if you’re designing a classic bathroom. If you want to create a truly traditional bathroom, you could also consider our high or low level toilets. 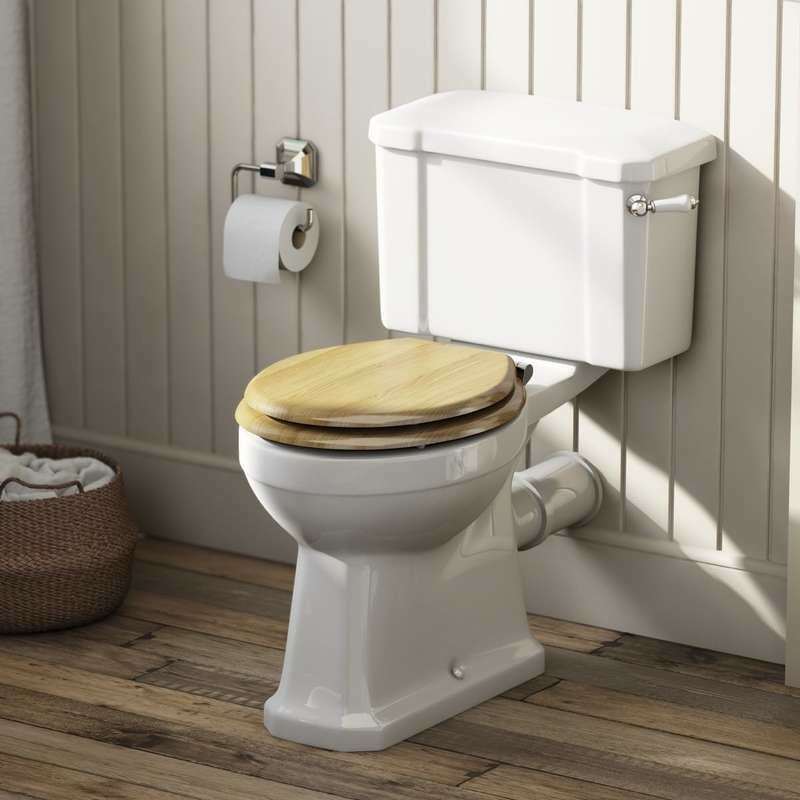 For the perfect blend of traditional style and modern functionality, you could choose our Winchester close coupled toilet (pictured above), or the Camberley toilet, with the option of wood effect seats for a beautiful look and quality feel. 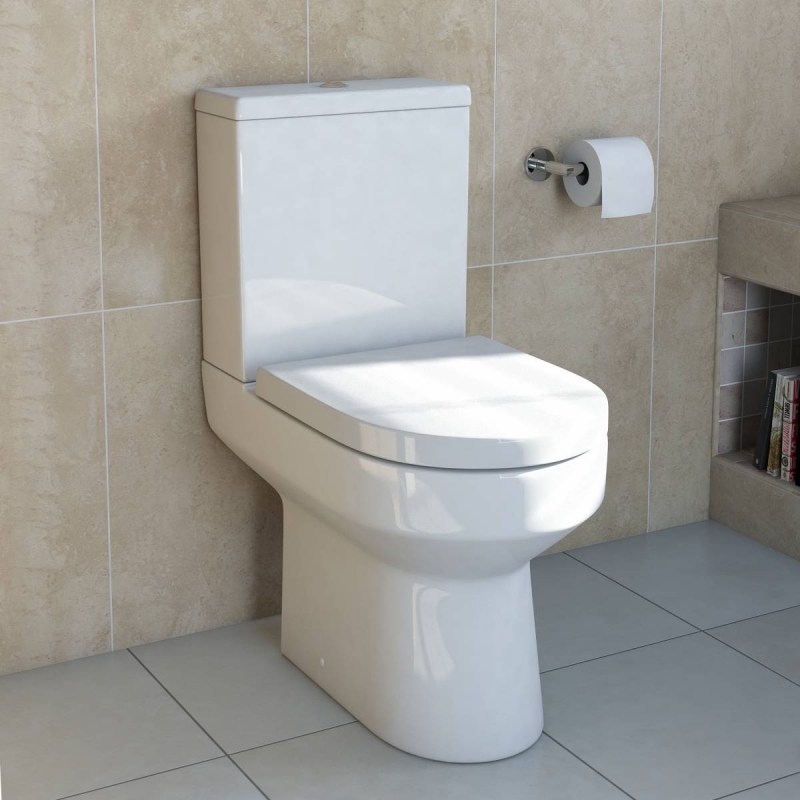 Find the perfect choice for your bathroom in our range of close coupled toilets, or if you’re looking for something a bit different, take a look at our back to wall toilets and wall hung toilets. Find out how to fit a toilet with our handy "how to" guide. A born & raised West Countryman, now living on the Yorkshire Coast, for over 5 years Adam has been bringing home interior ideas to life at VictoriaPlum.com. Adam’s favourite interior styles have been shaped by both urban and natural influences. The toilet seat is an important element of your toilet that can have a big effect on its overall feel, look and shape. This guide will give you a quick overview of toilet seats at VictoriaPlum.com, and what you need to think about when choosing one. With such a range of styles and designs available, it can be difficult to know where to start when it comes to choosing a toilet. This guide will explain the options available to you, so you can find the perfect toilet for your bathroom. If you’re looking for a toilet and basin suite, but aren’t sure where to start, this guide is for you. Find out about the different types of toilets and basins that we have available at VictoriaPlum.com so that you can decide which suite is best for your bathroom.